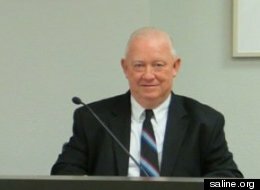 When Saline, KS County Commissioner Jim Gile used racially insulting language during a recent meeting he had no idea he was setting off a whirlwind of national reaction. And he probably would not have predicted that a video of his wife defending his honor would be going viral via the internet a few days later. I earlier mentioned her statement was one of the best examples I’ve ever seen of what NOT to do when responding to criticism or feedback related to a cultural collision. But criticizing her response does little to help others know what they could do that would be better if they ever found themselves in a similar situation. 5. Express appreciation for the feedback. Obviously, this five-step process should be followed up with taking the action you committed to in step 4. And when possible give feedback to the critical person or group after changes have been made or after their concerns have been shared. Would you like a copy of the 5 Steps Poster we share with our clients? It includes a little more detail in a one-page format to help you implement each of the five steps with confidence.